Join us for Show Off! 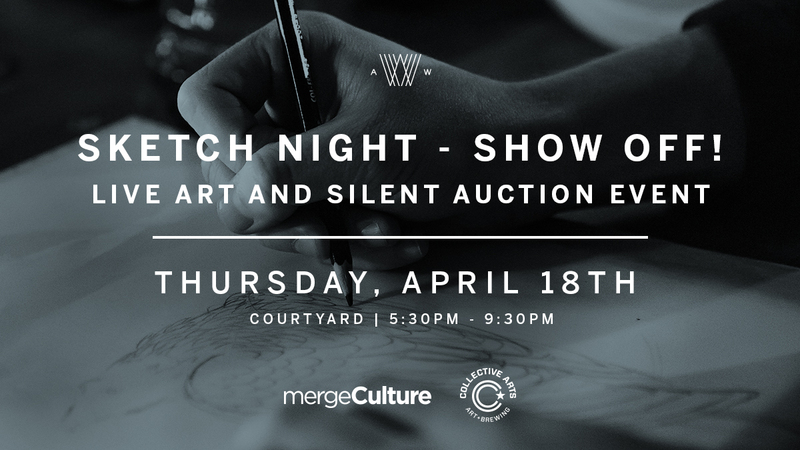 A live art event with a silent auction curated by Mergeculture + Sketch Night Tampa, hosted at Armature Works. Witness 15-20 local and regional artists create art live from 5:30pm to 8:30pm in the Armature Works Courtyard. The work will be up for auction from 8:30pm to 10pm. Pieces will be created in whatever medium the artist chooses. 10% of each piece sold during the silent auction will be donated to benefit a local charity based in the Tampa area, TBA.